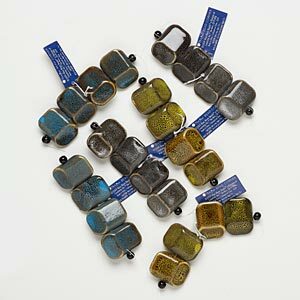 Bead mix, Blue Moon Beads®, porcelain, 31x22mm parallelogram. Sold per pkg of (6) 4-piece sets. 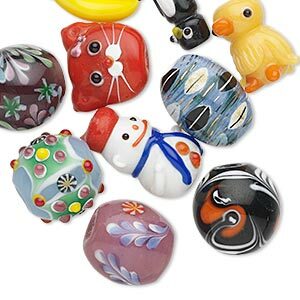 Bead mix, porcelain, multicolored, 7mm-51x42mm mixed shape. 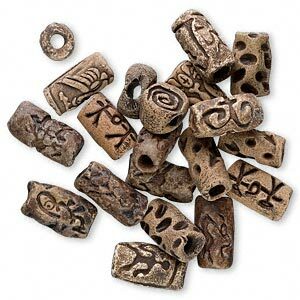 Sold per 1/4 pound pkg, approximately 25-70 beads. 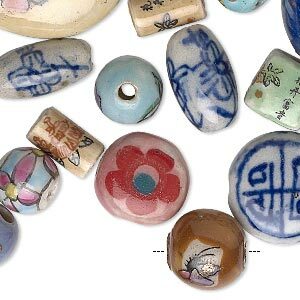 Bead mix, porcelain, mixed colors, 20x5mm-28x10mm textured mixed shape. Sold per pkg of 20. 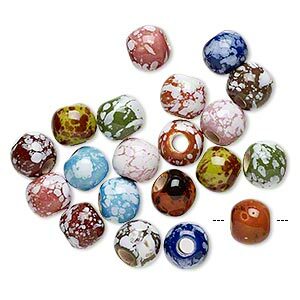 Bead mix, porcelain, mixed colors, 47-50mm round, 6-9mm hole. Sold per pkg of 3. 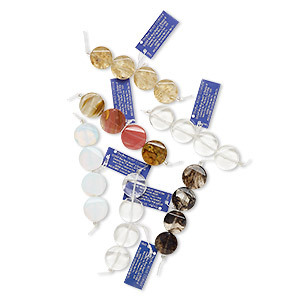 Bead mix, Blue Moon Beads®, glass, 20mm flat round. Sold per pkg of (6) 4-piece sets. 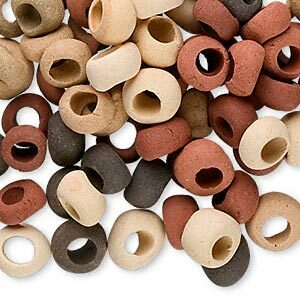 Bead mix, ceramic, mixed colors, 6x4mm-9x5mm rondelle with 3-4mm hole. Sold per pkg of 100. 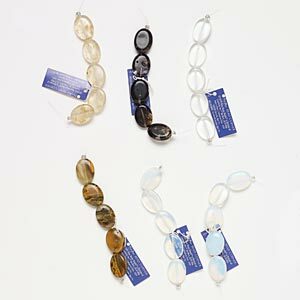 Bead mix, glass, multicolored, 20x15mm flat oval. Sold per pkg of (6) 5-piece sets. 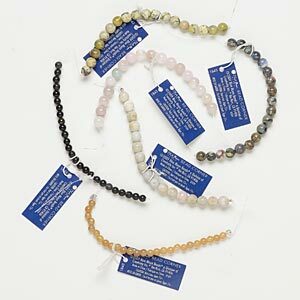 Bead mix, Blue Moon Beads®, multi-gemstone (natural / dyed), round, 4 inches. Pkg/6. 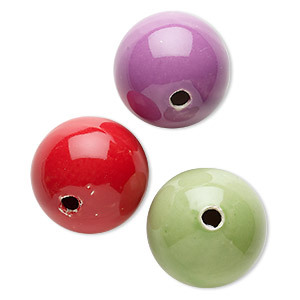 Bead mix, glazed ceramic, mixed colors, 8mm round with hand-painted splatter design, 3mm hole. Sold per pkg of 20. 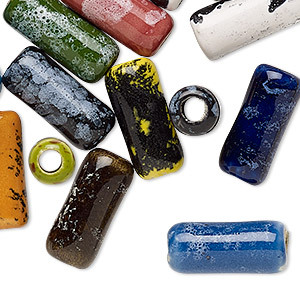 Bead mix, glazed ceramic, mixed colors, 17x7mm round tube with hand-painted splatter design, 3mm hole. Sold per pkg of 20. Bead mix, porcelain and lampworked glass, mixed colors, 12-35mm mixed shape. Sold per pkg of 10.